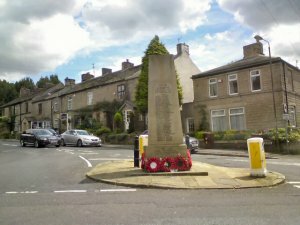 Charlesworth's War Memorial is located on the junction of Marple Road and Town Lane. 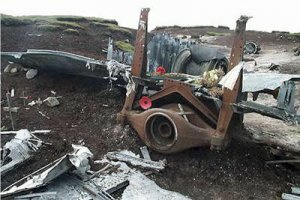 Within the Parish there is also a large amount of wreckage of a USAF Boeing RB-29A Superfortress, which crashed on 3rd November 1948. All 13 members of the crew were killed. There is public access to this as well as a proper memorial which was erected in 1988. Further details about the aircraft can be found here.